In 1988, the Pacific NorthWest Legislative Leadership Forum (PNLLF) was formed which was the precursor of PNWER. Leaders from the legislatures of the original 7 jurisdictions designed the organization to be statutory, and enabling legislation was drawn up. 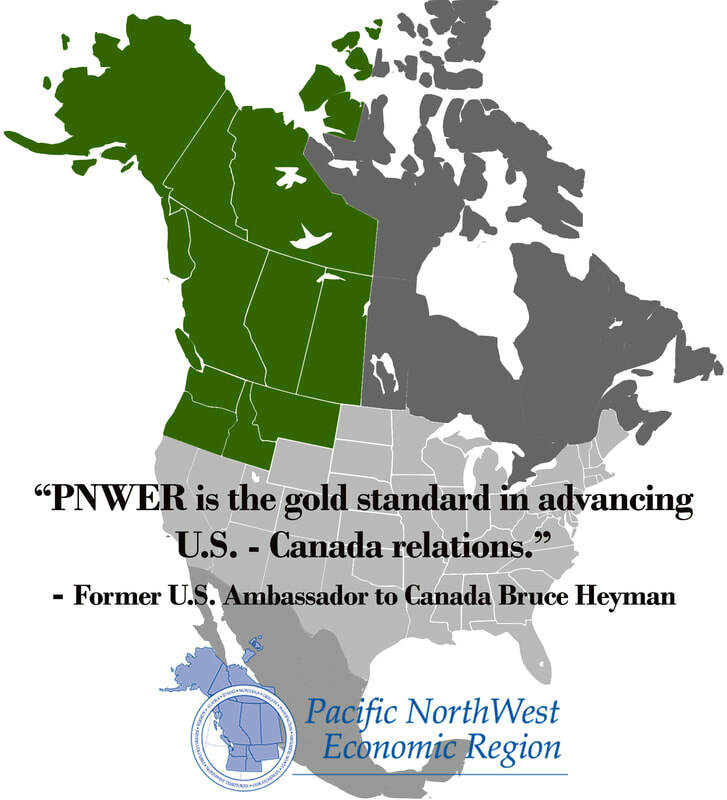 PNWER was established in 1991 by statute in the organization´s original seven jurisdictions – Washington, Oregon, Idaho, Montana and Alaska in the United States, and British Columbia and Alberta in Canada. The proposal establishing PNWER passed with 701 out of 703 sitting legislators voting for the enabling legislation during the 1991 sessions. Canada´s Yukon Territory joined PNWER in 1994. In 2008, the PNWER Executive Board voted to have Saskatchewan join PNWER, and in 2009 the PNWER Executive Board voted unanimously to admit the Northwest Territories into PNWER as well, making five Canadian jurisdictions and five American states. The original vision of establishing a collaborative region-wide organization to address common issues and interests was that of former State Sen. Alan Bluechel, Wash. Bluechel grew up in British Columbia, Alberta and Saskatchewan and came to the Legislature with a keen sense of the bi-national region now encompassed by PNWER; he was aided in the pursuit of his vision by counterpart Jim Horseman, then Deputy Premier and Minister of Federal and Intergovernmental Affairs for Alberta. Bluechel served as PNWER's first president. From the beginning, all state and provincial legislators were members of PNWER. The governors and premiers were added to the PNWER governance structure in 1993. PNWER incorporated official private sector participation – including the non-elective public sector, and nonprofit organizations and NGOs in 1994; with that, a private sector council mirroring that of the organization´s legislative delegate council was established and private and public sector co-chairs became part of the working group structure. Since then, funding for PNWER has been balanced by the public and private sector. The organization is primarily funded through three sources, with approximately one third coming from state and provincial dues, one third from private sector sponsorship and dues, and one third from public and private grants.